Junior Nathan Anderson rounds the corner versus Ogallala. 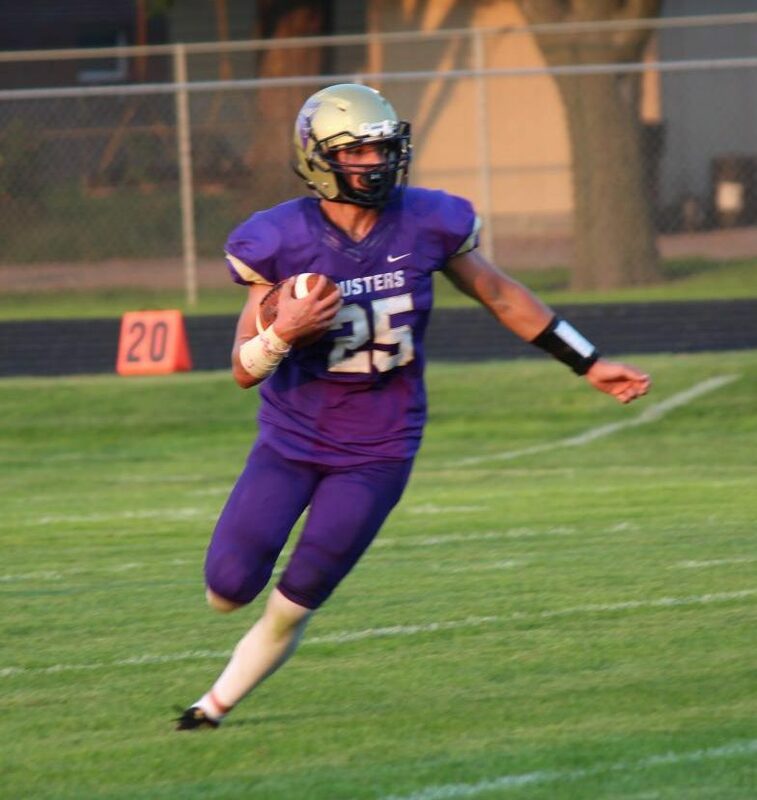 Returning few letterman, playing with a lot of inexperience, and unexpected challenges, the Duster football team experienced a difficult yet, rewarding season. “Being a young starter was definitely challenging but it made for an extremely fun season and left me hungry for next season,” said sophomore Rudy Sanko. The team dropped from Class B to Class C1 and played through a different schedule than the past. 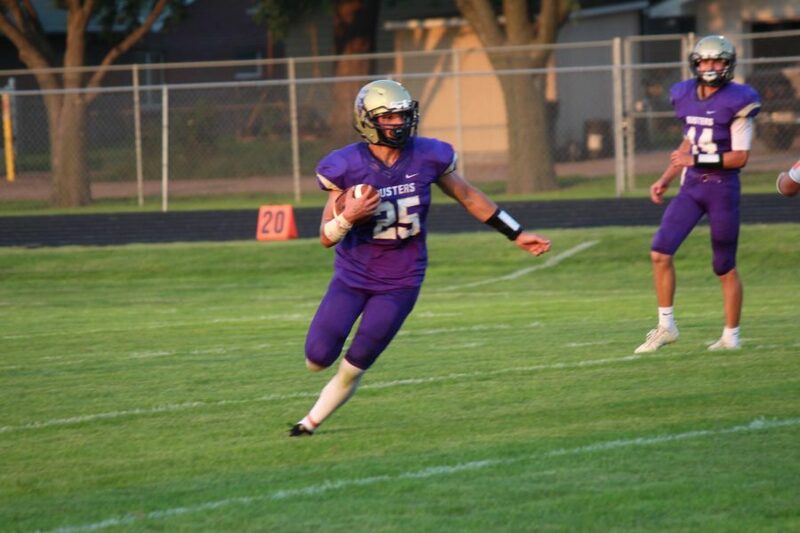 Team highlights included the second half offensive explosion win over Fillmore Central and the back and forth, high intensity win over arch-rival Minden. The team went through mountains and valleys the whole year including a tough fought up and down game versus Adam Central. “Beating Minden is like getting everything you want for Christmas,” said Aaron Drews, senior receiver and defensive back. All-District Honors went to: Zach Reed and Aaron Drews – First Team; Blake Garrelts, Drake Johnson, Cole Watts, Treven Melroy, and Imanol Munoz – Honorable Mention. “I am proud of the bond we were able to make as a team this season. I am also proud of how we were able to come out and make improvements every week,” said Ethan Twohig, junior defensive back and receiver. Offensively, Drake Johnson led the team with 1490 yards passing and 16 touchdowns, he also led the team with 442 yards rushing and two touchdowns. Aaron Drews led the team in receiving with 747 yards and 8 touchdowns. Defensively, Zach Reed was the leader with 124 tackle points, and Jordan Wilbur led the team with 9 tackles for a loss.